Saga's Cottage : Art Egg Giveaway! I am having a giveaway on my Facebook page! I've almost reached a 1,000 likes on my page and I'm celebrating! 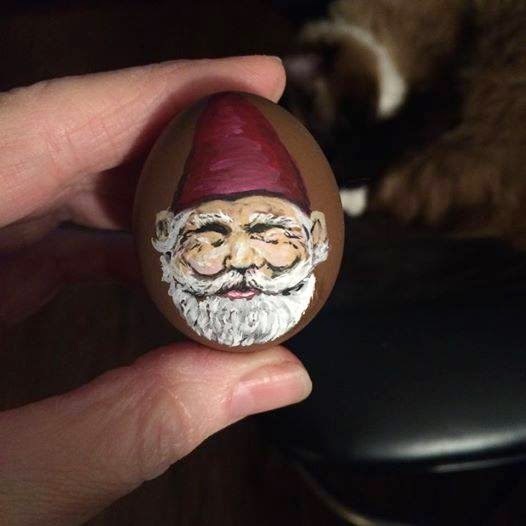 If you would like to win this handpainted gnome egg, hop on over there and like the pic and share with your friends. I used real, blown chicken eggs for my handpainted eggs.